THEY improv provides improv comedy, game shows and murder mystery dinners for entertainment options for a variety of groups and gatherings throughout Illinois. Bringing the best performers together for your next Chicago North Shore private parties and corporate events is what THEY are all about. Whether your needs are for Chicago North Shore private parties, banquets, corporate events, murder mystery dinners or for business comedy entertainment for a location elsewhere in Chicagoland, THEY are prepared to provide a private show that will help you achieve the success you desire and be remembered for years to come. Already the leaders in new and innovative corporate comedy, THEY have joined together with some of Chicago's top comedic talent to create a team that will help make your North Shore private party, banquet or corporate event a huge success! Whether you are around Northwestern, Evanston, Lake Forest, Northbrook, Deerfield, Gurnee, Buffalo Grove, Barrington, Waukegan, Kenilworth, Wilmette, Bannockburn, Fort Sheridan, Glenview, Lincolnshire, Northfield, Riverwoods, Skokie, Winnetka, Lake Bluff, Old Orchard, Glencoe or Highland Park, THEY improv can put together a quality show for you. With a selection of murder mystery dinner shows, improv comedy shows and game shows that can be custom-tailored to you, THEY improv is the choice for your top-notch entertainment. THEY can help you succeed! 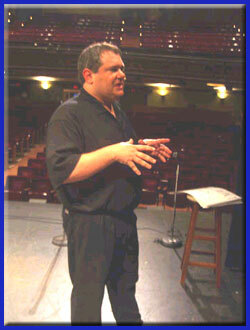 THEY improv leads the way for North Shore of Chicago corporate events, banquets, private parties, dinner shows, business comedy entertainment, company training and team building workshops. 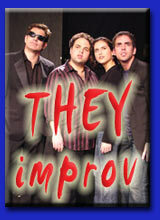 If you have a family group getting together, THEY improv puts together a custom designed gathering just for your group. 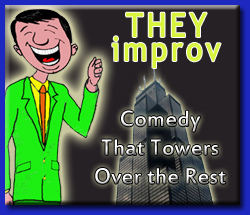 If you have a Chicagoland area company looking for unique and entertaining methods for improving your business, look to THEY improv. THEY improv is proud to provide quality entertainment for Chicago's North Shore private parties, banquets and corporate events including, Lake Forest, Northbrook, Deerfield, Gurnee, Buffalo Grove, Evanston, Barrington, Waukegan, Kenilworth, Wilmette, Bannockburn, Fort Sheridan, Glenview, Lincolnshire, Northfield, Riverwoods, Skokie, Winnetka, Lake Bluff, Old Orchard, Glencoe and Highland Park.